This Years Grand Prize Winner: Jeremy Dell! 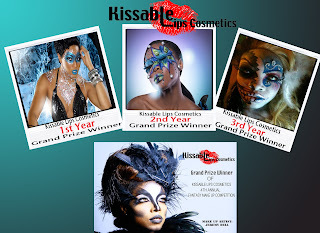 If you missed Kissable Lips Cosmetics 4th annual fantasy make up competition, you missed out on a treat! 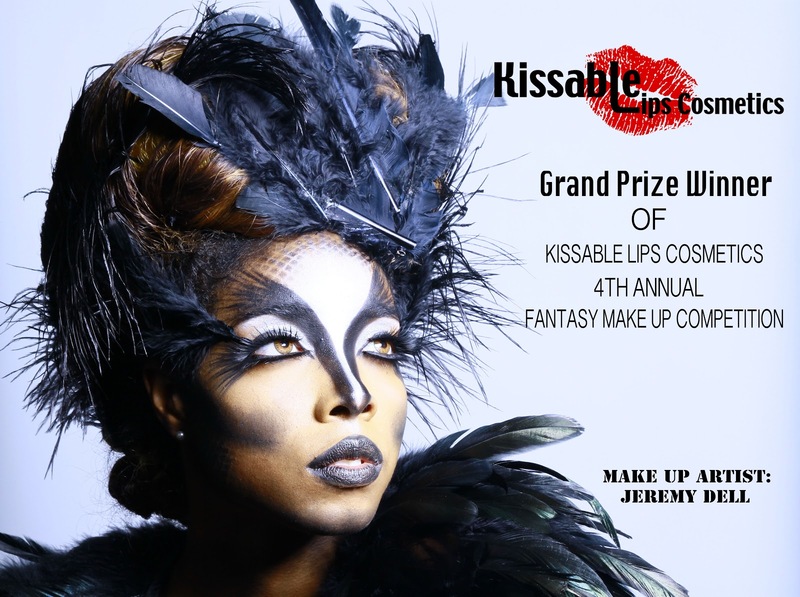 Each year Kissable Lips Cosmetics host and sponsor their annual fantasy make up competition. This competition is all about creativity and thinking outside the box! As a make up artist, I started to notice that their wasn't many competitions that highlighted the make up artist for their extraordinary talents, every show or competition you would see would always include make up, however their was never a show that premiered make up artistry as the main focus. Therefore Kissable Lips Cosmetics created the Fantasy make up competition to celebrate the make up artist! 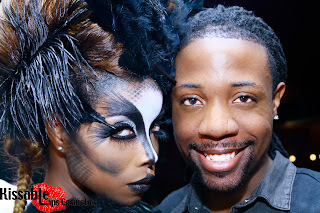 This event was designed to give make up artist their just do! All photographers and hair stylist know, that a look is NOT complete without make up, and with that being said, why not congratulate and celebrate the make up artist! Each year make up artist from all over Atlanta and the world, come to compete for Big Cash and prizes, tons of exposure and the title of Best Fantasy Make Up Artist of the year! Each look created by the talented make up artist that enter, are Kissable Lips Cosmetics products! The winners of each competition have gone on to do great things, such as working on movie sets, working with tons of celebrities, music videos, being featured in a slew of magazines, and networking with the who's who in the industry! The Fantasy Make Up Competition has grown tremendously from its humble beginnings. This event has become so tremendous that Kissable Lips Cosmetics partnered up with My Estylist and The Atlanta Distributers to make this event larger then life and now have included the Master of Style Hair Battle, so you now get two shows for the price of one, and a combined total of $10,000 in cash and prizes are given away each year now! We also have the greatest host in the world each year, the one and only Wanda Smith of V-103! This event is definitely one that is a must see! It happens every year, so for all you talented make up artist, that aren't afraid to step outside the box, and create magic to win huge cash and prizes, this event is for you! Don't wait until the last minute to enter for your chance to win! For information on the next show and how to enter, email: Kissablelipsc@gmail.com! Tell a friend to tell a friend, because this is the event of the year!